I paid my first visit to an ex-Netto Asda Supermarket last weekend – more of which in the coming days – but meanwhile the process of converting 147 Netto sites by the end of November continues apace. 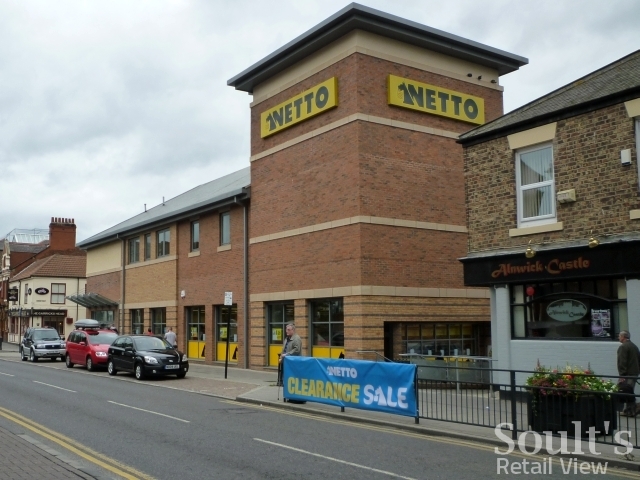 North Shields is one of the many Netto stores that’s been mentioned in the 60-plus-strong comments thread attached to one of my earliest posts about Asda’s acquisition of Netto, back in January. Passing by on Monday, I noticed that the store is now in the midst of a ‘Clearance Sale’, ahead of its closure as Netto on Saturday 20 August. 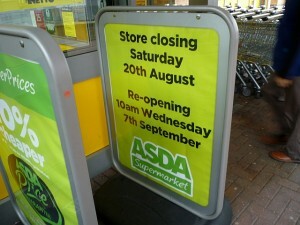 After a two-and-a-half week makeover, it will then reopen, as an Asda Supermarket, on Wednesday 7 September. 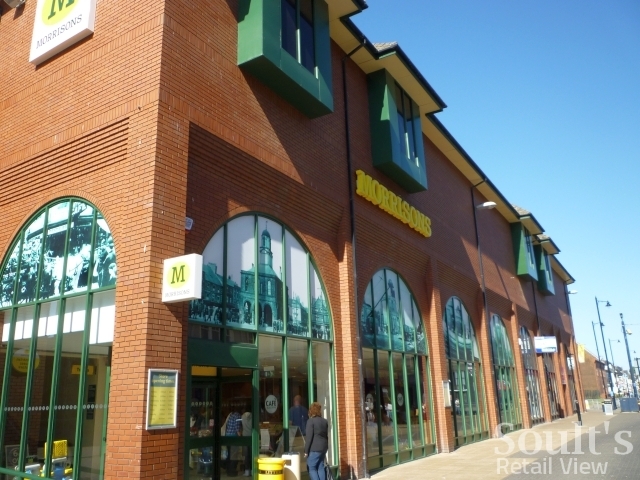 Back in June, the Chronicle newspaper ran an article under the headline “Supermarkets ‘are swamping North Shields'”, in response to one independent trader’s frustration over the growth of the big multiples in the area. 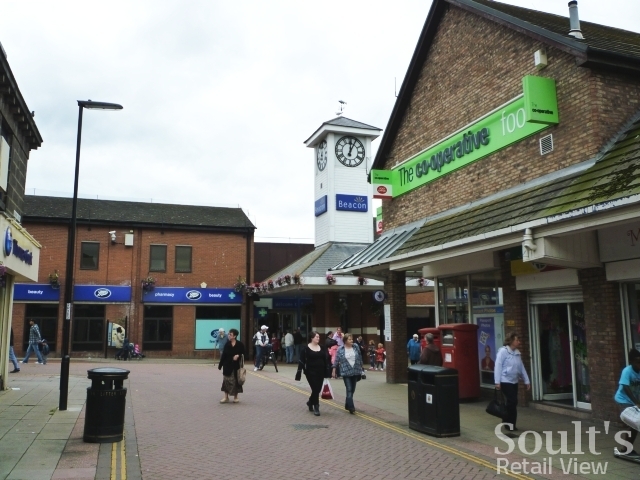 While it’s true that North Shields has large Tesco and Morrisons stores on its outskirts, the town centre, to be fair, has been fairly poorly served to date. Alongside Netto in Saville Street, the town’s main thoroughfare of Bedford Street plays host to branches of Heron Foods, Iceland and a decent-sized Co-op. However, many shoppers seeking a better balance of range, quality and value seem to head across the Tyne to South Shields’ Asda or Morrisons, judging by the carrier bags that I spot every time I use the Shields Ferry. Of all the Netto sites that Asda has acquired, North Shields’ has the advantage of occupying a modern building with dedicated parking, yet in a very central location right opposite the town’s Beacon Shopping Centre. If the store’s conversion to Asda encourages more people to stay in North Shields for their weekly shop then that’s certainly something to be welcomed.